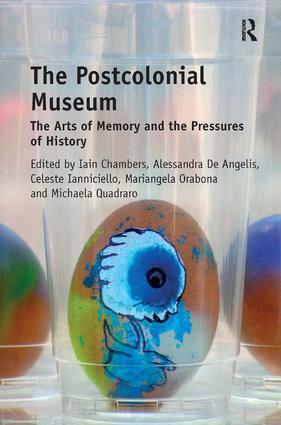 This book examines how we can conceive of a ’postcolonial museum’ in the contemporary epoch of mass migrations, the internet and digital technologies. The authors consider the museum space, practices and institutions in the light of repressed histories, sounds, voices, images, memories, bodies, expression and cultures. Focusing on the transformation of museums as cultural spaces, rather than physical places, is to propose a living archive formed through creation, participation, production and innovation. The aim is to propose a critical assessment of the museum in the light of those transcultural and global migratory movements that challenge the historical and traditional frames of Occidental thought. This involves a search for new strategies and critical approaches in the fields of museum and heritage studies which will renew and extend understandings of European citizenship and result in an inevitable re-evaluation of the concept of ’modernity’ in a so-called globalised and multicultural world. Iain Chambers, Alessandra De Angelis, Celeste Ianniciello, Mariangela Orabona and Michaela Quadraro, UniversitÃ degli Studi di Napoli 'L’Orientale', Italy.